Deposito Hidrografico - DH for short - was founded in 1964 by sea captain Edurardo Rodriguez and has its headquarters in Barcelona. DH is now managed by the second generation. DH is focused on the distribution of nautical instruments, maps, publications, etc. In addition to the professional ocean shipping and the military, we also address the entire nautical sports sector with a wide offering of products. It is our goal to offer our customers maximum comfort and safety on board with the latest technologies. DH is official representative of various Spanish ministries such as Ministerio de Defensa, Ministerio de Fomento, Ministerio de Medio Ambiente and organizations such as IMO, UIT, IHM, BA and others. 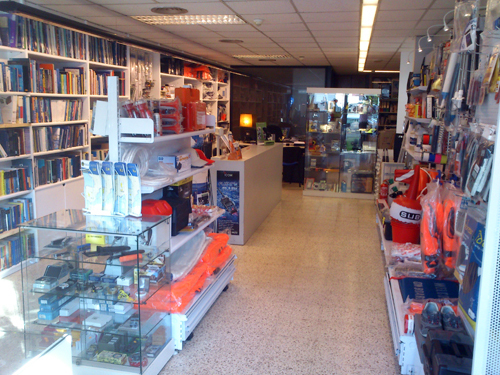 DH sells its products through the store in Barcelona and through the online shop www.dhnautica.com . For over twenty years, we have been producing and distributing dangerous good hazard placards (IATA, IMDG, RID and ADR). We supply shipping companies, transport & logistics companies as well as industrial companies. With www.dhlabels.com we want to focus and expand the transport labelling sector and provide our customers even more services in the future.